The SmartPIN C100 is a PCI 2.1 approved PIN entry device that's designed for integrating into tablet PC or other compact OEM applications. The backlit LCD display has 2 lines x 12 characters for information text and visual indication of the PIN entry process. 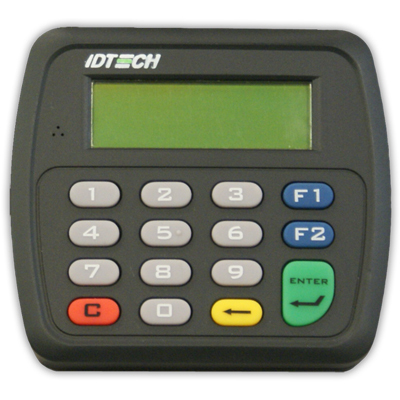 PIN entry is encrypted and securely transmitted over the RS232 or USB communication interface. The compact housing of the SmartPIN C100 is vandal-resistant, ruggedized, and water spill-proof. The SmartPIN C100 is operated through a POS application command & response (API message) structure.